29.04.2011 » Cristiano Ronaldo: "I don't like playing in this tactical system"
Cristiano Ronaldo showed his unhappiness after Real Madrid got defeated by Barcelona and confessed he doesn't like to play in the style Real Madrid has been playing lately. CR7 is disgusted for always having to play with 10 men against Barcelona, and other players such as Rio Ferdinand, Michael Owen or Adebayor criticized Barça players attitudes on the pitch. Cristiano Ronaldo was very disappointed after the loss against Barcelona, this last Wednesday, in the first leg of the UEFA Champions League. CR7 thinks that the only explanation for such a bad result was Pepe being shown a direct red card, in a split ball with Brazilian Daniel Alves in the beginning of the second half. (You can watch the video from that play here). The game was then decided by Lionel Messi, who scored 2 goals. Cristiano Ronaldo then admitted that he doesn't like to play in this tactical system. Cristiano Ronaldo: "Everyone saw what happened. When we were playing 11 against 11, we were not playing very well, but we managed to control the game and Barça didn't create many chances to score. But then Pepe was sent off, and this happens everytime against Barcelona. Is it coincidence? The 0-0 draw wouldn't be a very bad result, because we could score in Camp Nou in counter attack. Besides that, Kaká was about to get in and we were going to attack a lot more in the last 20 minutes. That was a critical moment to expel Pepe from the match and we are all very sad, because this always happens when we play against Barcelona and also with Mister José Mourinho." Cristiano Ronaldo also talked about the German referee's criteria (Mr. Wolfgang Stark): "I couldn't talk with anyone. I didn't talked with anyone at all, because I knew that if I did it, I would be shown a yellow card for sure." The journalists then asked CR7 to comment Lionel Messi's performance: "I can only say that I wished to be allowed to always play against 10 men, like it happens everytime with Barcelona and Messi, because it definately becomes a lot easier." However, CR7 also showed his concerns about the way Real Madrid is playing lately. Cristiano Ronaldo: "I don't like playing in this style we've been playing lately against Barcelona, but I have to adapt to it, because that's what we got. We lost 0-2 at home, but we have to believe it's possible to win in the Camp Nou, even though we know it will be very hard. ", commented the Portuguese player. Still regarding the play where Pepe got sent off, after a very theatrical act (simulation) by Daniel Alves (watch the video here), there were plenty of reactions coming from all around the World, but there's one that was indeed funny and curious at the same time. Rio Ferdinand, Manchester United defender and most likely a future opponent of Barcelona or Real Madrid in the UEFA Champions League (Manchester United defeated Schalke 04 by 0-2 in Gelsenkirchen), commened on his personal twitter page: "This diving is a joke and embarassing. If you ever see me go off on a stretcher and then run back on to play, I give everyone in here the green light to hit me with a two-footed tackle!". Besides Ferdinand, also Michael Owen criticized Barcelona diving and acting: "Daniel Alves actions won't please many as if he had got straight up it would have been a yellow card. But Barça fans will be happy with his actions...". Last but not the least, Adebayor also showed his disgust and anger on the constant overreacting attitudes that Barcelona players displayed in the last "El Clasicos" matches: "Whenever you play against Barca, whenever you touch them they are on the floor crying like a baby. I have played three games against Barcelona and each time we have had to play with 10 men. Everyone talks about Barcelona and their pretense fair play, but I think they are very far away from fair play. Whenever you make contact when going for a one-on-one or 50-50 ball they are on the floor crying, putting their hand up near their face. Their manager, fans and the players on the bench are always crying. Barcelona is a fantastic club, has fantastic players, but they have to stop that." Thumbs up for Adebayor, that somehow exposes the hypocritical and negative side from Barcelona team and their own manager Pep Guardiola. Remember that you can watch Real Madrid vs Zaragoza livestreams, for the Spanish League, online here on ronaldo7.net, this Saturday. 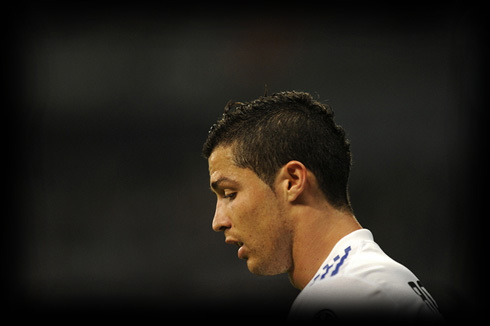 Cristiano Ronaldo may rest for the UEFA Champions League 2nd leg, to be played next week, so he may miss this game.